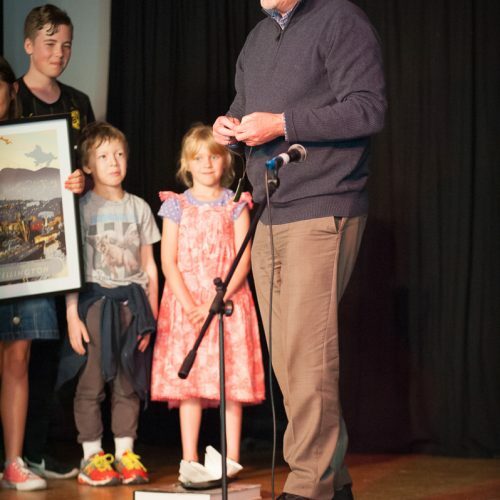 It is with sadness that we inform you John Reynolds has resigned as Principal, and will leave Roseneath School at the end of Term 4. John’s message to the School Community is below. Roseneath School without John is hard for us to contemplate. He has been at the heart of the school for 20 years. He has supported a learning environment in which our children have had the opportunity to find their own strengths, to achieve their best and to further their enjoyment of learning. One of his greatest achievements is the talented and conscientious teaching team that he has built who are well placed to manage the school in his absence. The Board and teaching staff are focused on ensuring that academic excellence and a friendly, nurturing learning environment remain at the heart of the school’s philosophy. The Board has commenced a recruitment process, and is committed to finding an exceptional new Principal who will take the school to an exciting new future. With sadness comes opportunity. The Board will ensure a rigorous selection process to secure a talented leader who can not only build on John’s legacy, but will guide the school through the next stage of its development. Our plans to upgrade the school hall and improve the entrance and hallway at the school are already well advanced, which will ensure a significant improvement to our facilities. We will provide a further update once the recruitment process is more advanced, but please take this opportunity to join us in thanking John for his significant contribution to the school. If you have any queries on this or any other issue please feel free to contact one of the Trustees below. I am resigning as Principal from the end of the 2016 School year. I have been very fortunate to be Principal of Roseneath School for many years but it is now time for me to do something different and for Roseneath School to have a new Principal to tackle the challenges that lie ahead. It has been very rewarding to work with great students, a great community and a very talented, conscientious staff. I will certainly miss all the people that make Roseneath School such a special place.